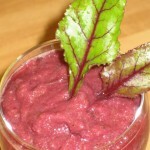 I was wary of adding beet stalks and leaves to my smoothies, thinking they would make it bitter. Not so, it came out a beautiful pink colour and delicious! 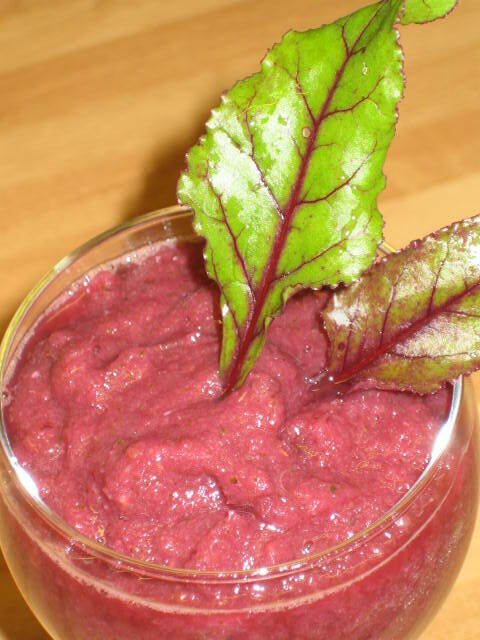 Blend: 1 peeled orange, 1 inch slice fresh pineapple, 1 banana, 1 apple, handful of beet tops (stalks and leaves). Add some water if you prefer a drinkable smoothie. Vary the ingredients to match what you have available. Yes, they are Pat, and really good if fresh from the garden!